Scenario - 男(Guy): "I like you! Please go out with me...!" Possibility A - 女(Gal): "I...I like you, too." Possibility B - 女(Gal): "I'm sorry!" My knowledge of dating and relationships in Japan is limited, as is my own personal experience in the area. That is to say I have some, but not nearly enough to qualify me as an expert. Still, I thought it would be interesting to have a look at some aspects of this part of Japanese life. First, I'd like to talk a bit about the comic strips above. They come from the first three pages of a manga I started reading recently called Rangeman. 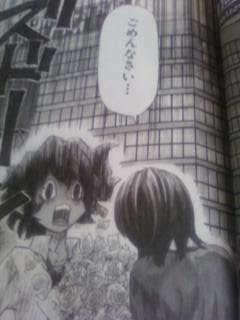 On the first page, some offscreen guy says "あなたの事が好きです！！！付き合ってください！！！" I like you! Please go out with me! 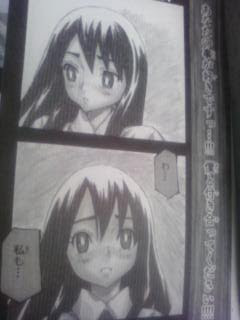 On page two, she finishes "私もあなたが好き" I like you, too. As we can see, this is taking place on a big monitor on a building. Looks like Shibuya, in Tokyo. "あなたが好き" (anata ga suki) or sometimes just "好き" (suki), or some variation. There really are a ton of ways to express the same thought. If the guy is lucky, the object of his affection will reciprocate. "私も好き" (watashi mo suki). 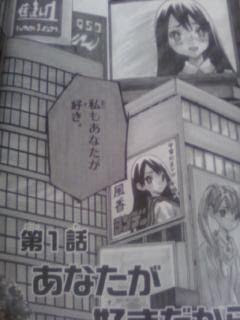 If not, however...we come to the dreaded "ごめんなさい" (gomennasai). Yup. If she doesn't feel the same way, she'll tell you she's sorry and then probably walk away laughing cruelly. This formula pops up all over the place. Often the guy will toss in a "付き合ってください" (tsukiatte kudasai). Back in college, there were these female Japanese exchange students who I was friends with. One of them clearly had a thing for me, so I decided to ask her out. First, I consulted with a friend of mine, who was an older Japanese graduate student. She advised me to tell the girl how I felt and then throw in a "付き合ってください." That was the first time I ever heard it. I did so, and I wound up going out with that girl for about two years. I find the whole thing quite interesting and (unsurprisingly) uncharacteristic of the Japanese mentality. I say unsurprisingly because Japan is a country of harmonious dischord. Contradictions abound. In a culture centered around vagueness and being indirect, where did this come from? Directly saying "I like you"? It's worth exploring, but I'm not sure how often this kind of thing actually happens in real life and how much of a romanticization it is. Perhaps it is a luxury of youth. I say this because, as I will talk about in Part 2, I have also come across a great deal of secrecy and discretion in Japanese relationships. But more on that next time. so what is tsukiatte kudasai? 付き合う (tsukiau) means to associate with or accompany. In this case it means to date or go steady. The form that's used is the polite imperative, so it's like "Please go out with me." This is so interesting. So, essentially, it's a good thing I don't live in Japan. I don't think they'd know what to do with MY replies to getting hit on, heh. Can't wait to see the second part of this. Very interesting thing to sort of dive into, it is guaranteed to be "strange" and "different" from the American POV.